Karen Hahnel’s apartment is a stunning example of how to successfully employ proportion and scale. 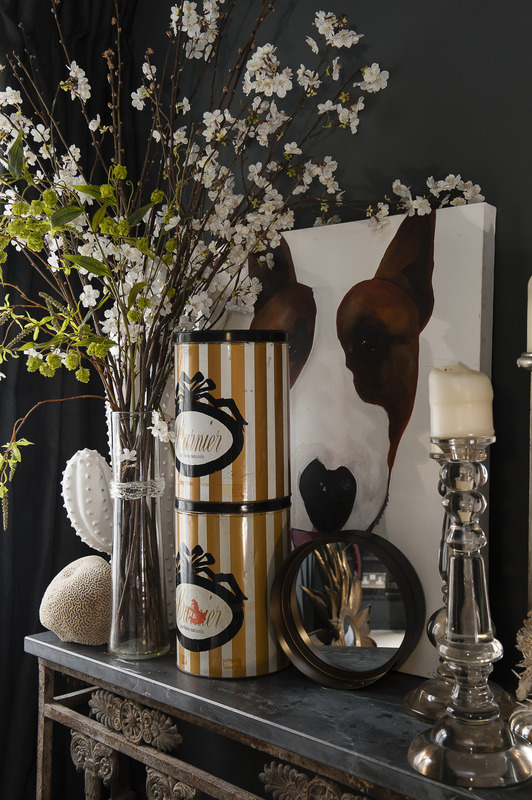 She has cleverly combined design classics with online finds to create an enviably stylish seaside home. From the moment you walk into Karen Hahnel’s ground floor apartment your face changes – and with every step further inside it gets more pronounced. Your eyes widen, your eyebrows travel progressively up your head and your mouth drops open. Wow. Wow. Wow. It’s the wow factor writ large – very large. Not just in the fabulous proportions of the main room, with its three metre plus ceilings (with original mouldings) and dramatic dark red marble fireplace, which was once in a reception room in a major Victorian house. Nor even the huge window, right down to the floor giving onto a sea view. 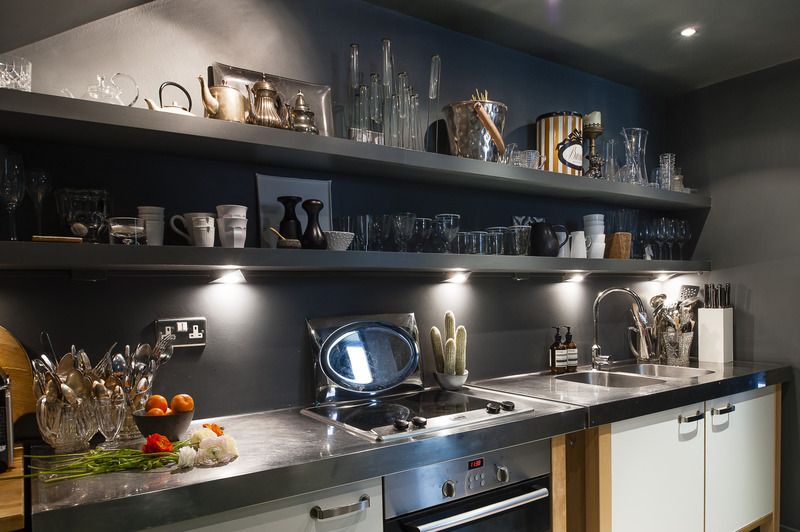 Although all of these are ticks on the dream home wish list, what makes Karen’s flat so impressive is the way she’s taken on the massive scale of the place – and run with it. So there’s no pussyfooting around here with mimsy in-period chandeliers, instead the ceiling light is a huge 1950s asymmetric piece by French designer Serge Mouille. 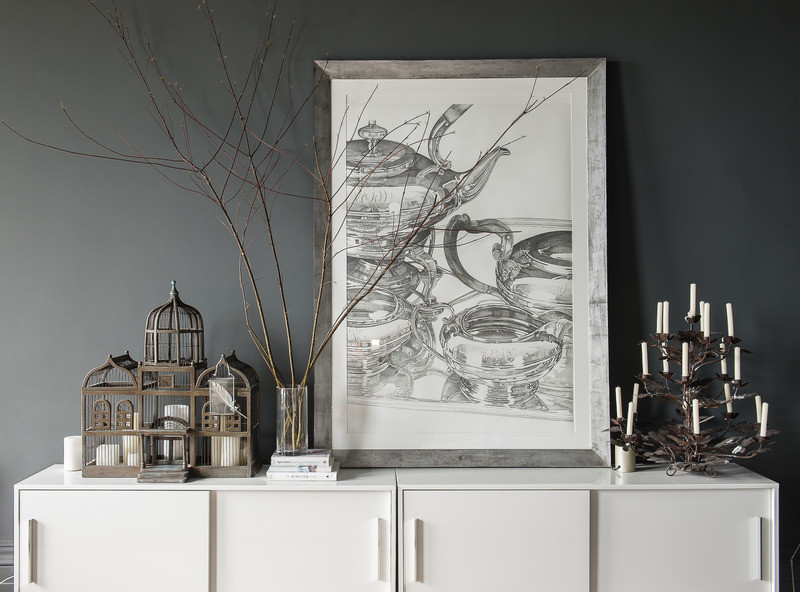 No fussy wall of fanciful French-hung artworks, but a huge drawing on one side and a supersized decorative hanging on the other. 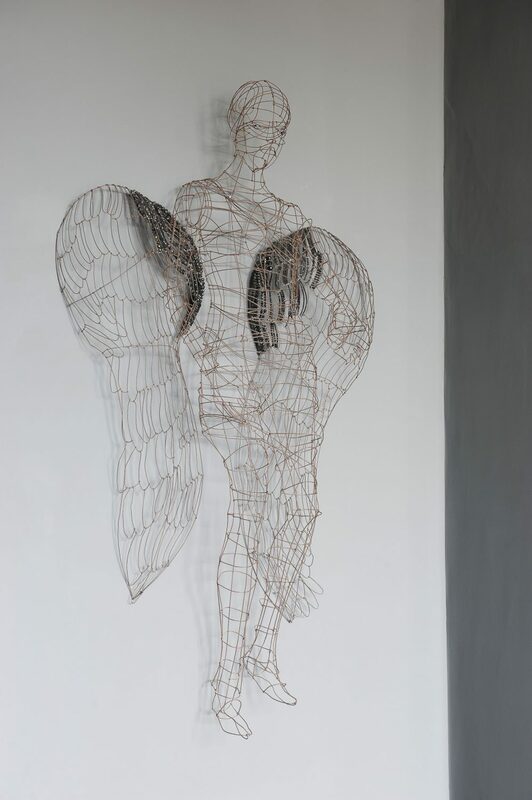 And then on the back wall something even more amazing: a human-scale wire sculpture of an angel, her wings threaded with Swarovski crystals, looking down on all within. It’s magical. A quick scan makes it immediately clear that even beyond her ease with large scale, Karen is a very confident decorator. 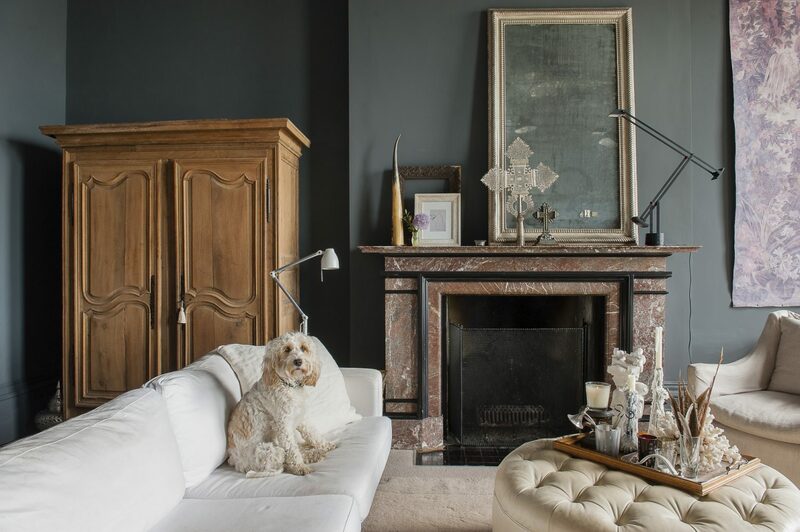 The sitting room has a wonderfully restrained palette of white and ecru (a perfect backdrop for her gorgeous cockerpoo Mabel, who is exactly the same colours) with no temptation to reach for splashes of feature colour. Her confidence is also gloriously apparent in her fearless decision to paint every surface in the apartment the same shade of dark grey. 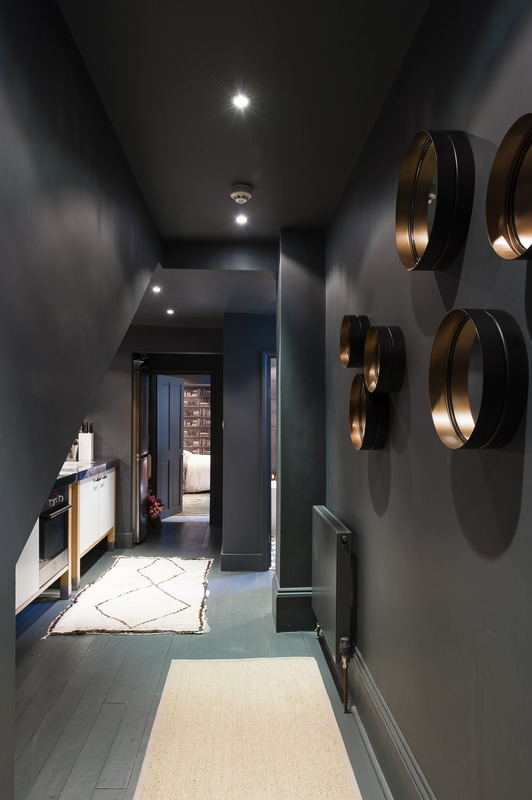 Walls and ceilings are all finished in Fired Earth’s Mercury, which wonderfully enhances the sense of flow between the rooms, bringing it all together and making the flat seem bigger at the same time. But there is one good reason she feels comfortable decorating such a space… she moved to it from an almost identical property in Richmond. 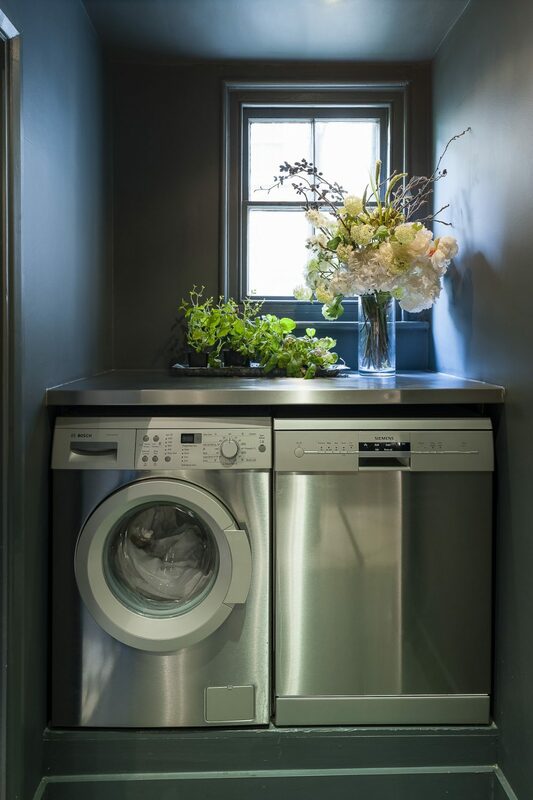 And it’s no happy accident that this two-bedroom flat is so similar in style to her one-bedroom London one – it was that extra bedroom that she was looking for when she moved, not a new style of home. 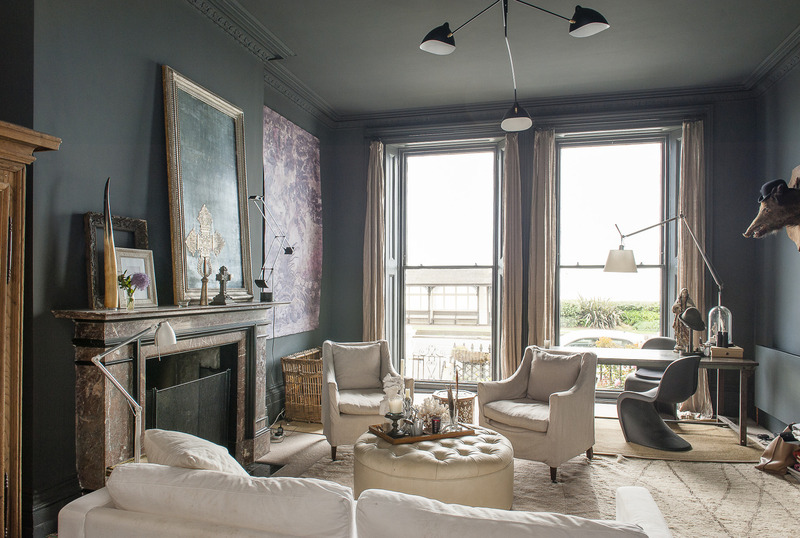 So unlike most DFL (Down From London) decampers to St Leonards, Karen wasn’t looking to trade in a tiny flat in the smoke for a huge mansion; she transplanted herself from one splendid Victorian flat to another, which had that extra bedroom and the sea view. “In Richmond I couldn’t afford to upgrade to a two bedroom,” she says. “It was going to be an extra £500,000 for another room and I didn’t want to move to a less lovely part of London to get it. Then I was chatting to my hairdresser, who told me she and her partner had just been looking at property in St Leonards. “I hadn’t even heard of it, but I started looking and two days later I put an offer in on this flat. It all felt meant to be. Once I came down and started looking I was really specific – I quickly knew it could only be one of the 25 houses in this terrace, on the ground or first floor. The work to be done on the flat was mostly putting right this lack of care – overseen by Project Manager Carl Ross – there were no walls to knock down or move around. The layout, with the kitchen very cleverly arranged along one side of the long wide hall the front door opens onto, was already in place. Now featuring a deep contemporary oval bath with a central hand shower, star design floor tiles on the characteristic bold scale, plus a basin atop a black painted unit, the bathroom, while relatively small, packs just as much dramatic punch as the rest of the flat. 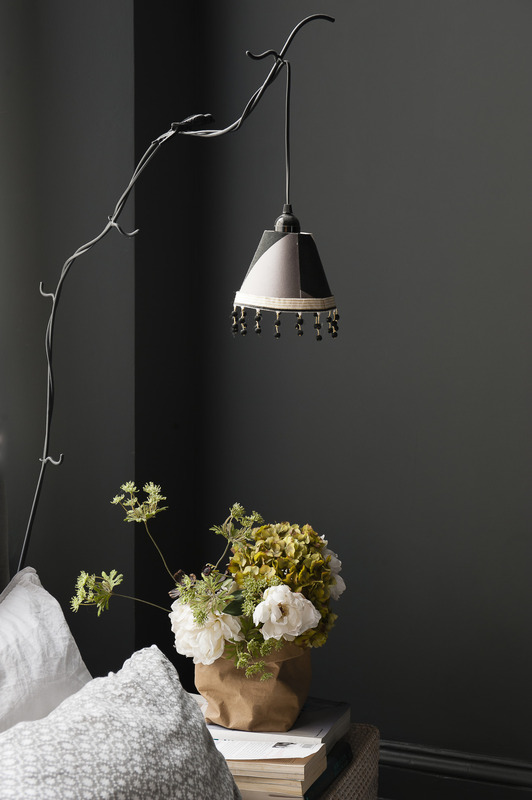 And it turns out that one of its standout features – the tasselled light cord pull – was another of the treasures Karen brought with her to her new home, although this one pre-dates even the Richmond flat. “It’s a curtain tie back I’ve had for 25 years and never done anything with. I bought it in the Conran Shop when I first moved to the UK from Australia. I saw it and thought ‘I’ve got to have that, I’ll find somewhere for it…’ I’ve had it all those years and not used it and it turns out this was the place,” which is another example of her decorating confidence – the light pull might be from one of the country’s most respected interior shops, but the designer-looking bath was bought from an online bathroom supply store. 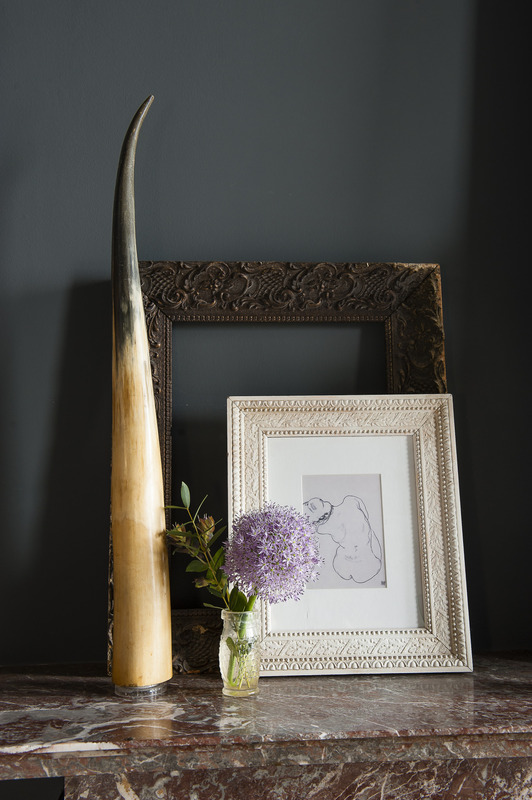 This juxtaposition of elite brands and clever finds is found all over the flat. 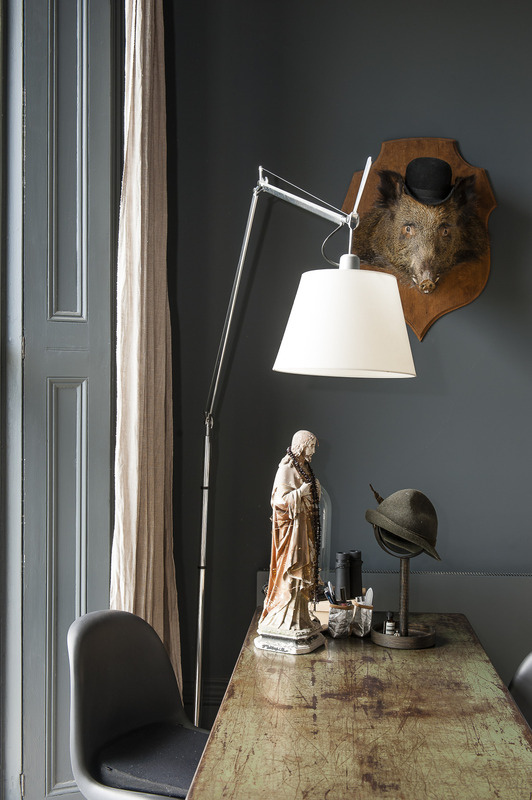 In the drawing room – it’s far too grand to be called anything else – on one end of the mantelpiece is a design classic, the Tizio desk lamp by Artemede. Suitably impressed, I ask where the smaller lamp on the side table next to the sofa is from – presuming it will be another treasure fit for the Design Museum. But the round buttoned pouffe, upholstered in cream linen, next to the IKEA sofa is from George Smith. The high/low trick happens again when I enquire about a beautiful small drawing which sits in a frame on the mantelpiece, assuming it will be a find from a gallery in one of the many European cities Karen visits frequently for her job with a large software company. It turns out it is a work by a major Austrian artist – Egon Schiele – but it’s a postcard, which she popped into a frame, the wide mount adding to the posh effect. 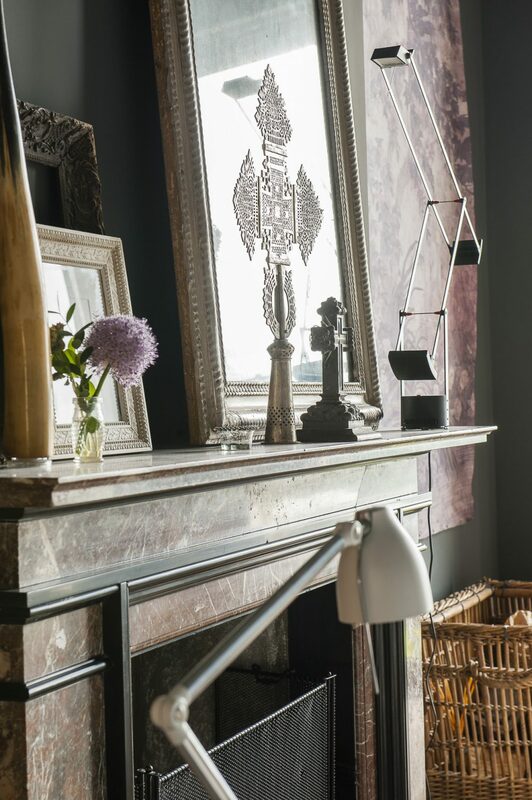 But while sources may vary from seriously grand to canny bargains, one theme that weaves through all Karen’s treasures is her love for European style. The industrial-style dining table at the window-end of the room is also French, inspired by a Paris trip, although not bought there. The chairs round it, though, are modern design classics: Danish designer Verner Panton’s cantilevered plastic chair, designed in 1960, bought by Karen from The Conran Shop. 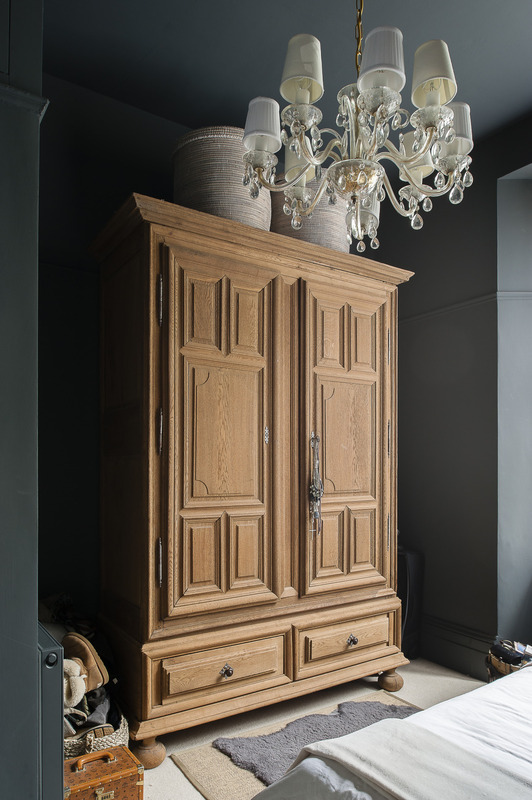 The large armoire at the back of the room is more genuine French Provincial – but sourced in the very British West Sussex town of Arundel, an hour and a half to the west of St Leonards, in an emporium specialising in antiques from across the Channel, called French Loft. 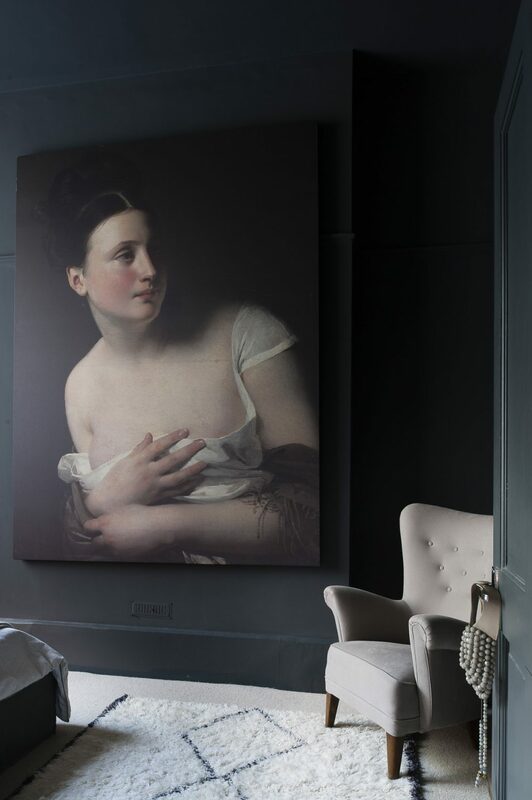 This room also hosts another example of Karen’s flair for scale, in the detail from an Old Master painting, blown up to a magnificent size, from Surface View, setting the atmosphere from the moment you walk through the door of this otherwise downplayed scheme. 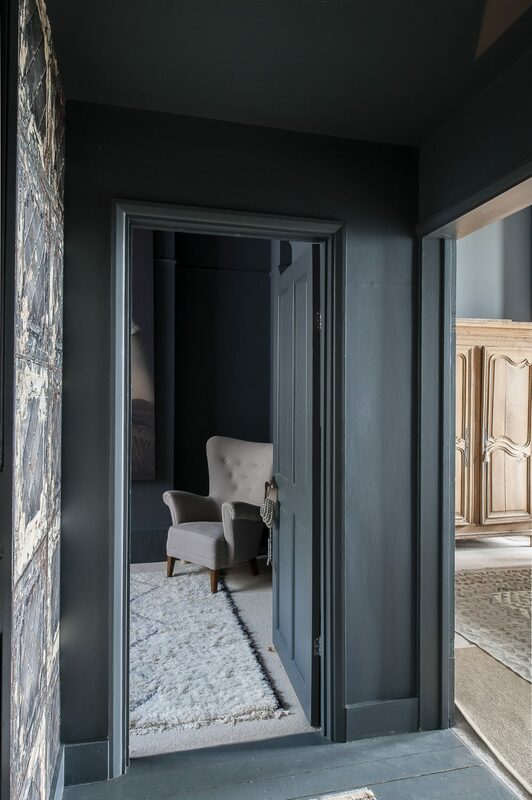 Featuring the same restrained, calm colour scheme as the drawing room, there is just a simple grey linen padded headboard by Paola Navone and an armchair of great character, which Karen found on the online antiques site The Hoarde, upholstered in plain ecru canvas. 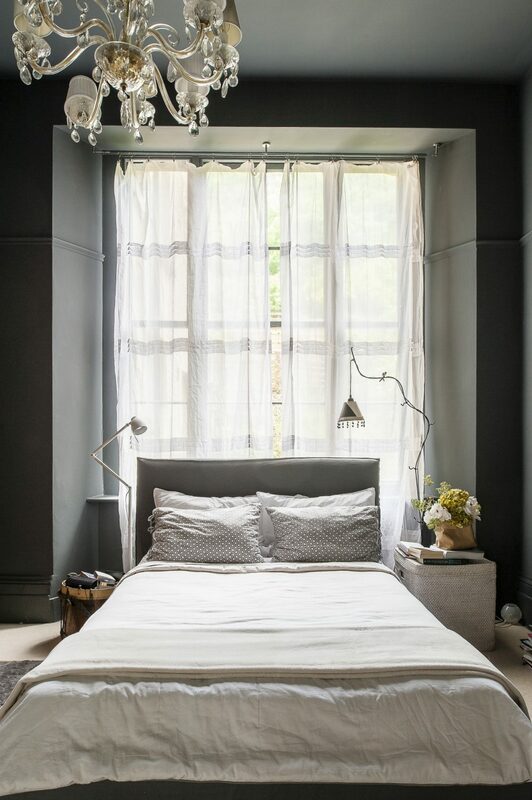 The only other standout features in this haven of tranquillity are the lights: a very decorative chandelier which was already in the house and a bedside lamp of delightful whimsy, from Designers Guild, so pretty against sheer white curtains. The bedroom is one place in the house where Karen did undertake some construction, taking advantage of the ceiling height to put in some large storage areas, which disappear into the walls. Walking out of this room and through the vestibule to the kitchen takes you past another example of Karen’s bold flair in a wall papered with a bold design featuring the pressed tin ceilings found in houses in her native Melbourne, dating from a similar period to this St Leonards one. There’s more feature wallpaper in the spare bedroom at the back of the flat, featuring old books stacked in bookshelves. The room has rather theatrical lighting, quite dark as you step in from the door, but with sun pooling in from the window on one side to the rear. This makes the perfect setting for Karen’s mix of light and dark, with the deep paint and wallpaper, contrasting a light floor, emphasised by the black and white striped rug, another IKEA bargain. The draping grey velvet curtains were also from there. 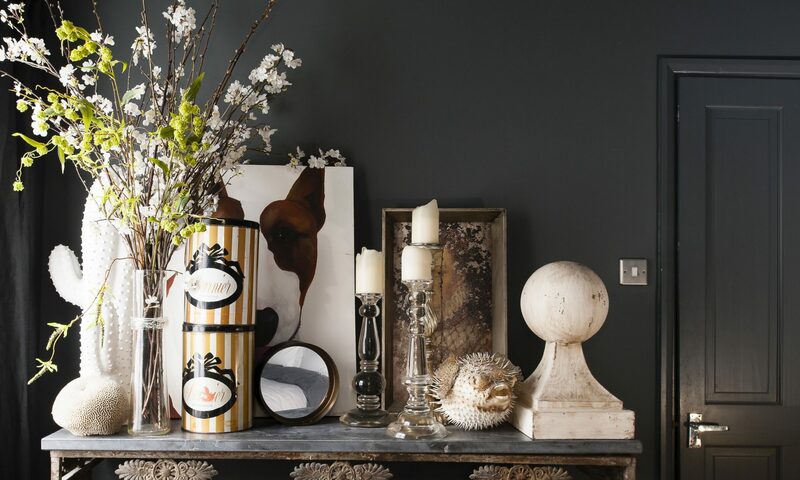 The two striped tins on the console table, which add to the ‘Hollywood Regency’ feel of the room, once held soap and were another find from the Lille Braderie, while the candlesticks alongside them were found closer to her new home, in one of the more junky antique emporia around St Leonards’ Norman Road. Heading from this room back out into the kitchen, your eye is caught by another of Karen’s very original ideas. 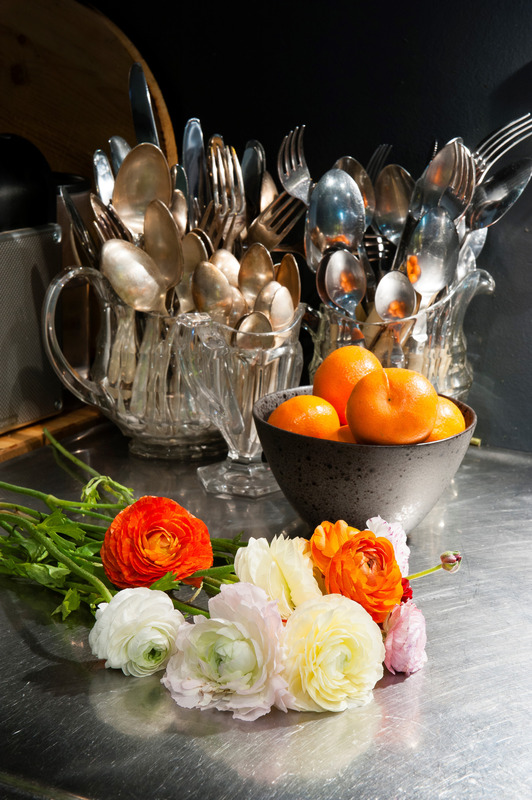 In keeping with the grand, rich feeling of the whole apartment, her cooking utensils and cutlery are not kept in anything as prosaic as kitchenalia – but in a collection of pressed glass jugs and vases, making the kitchen worktop as elegant as the rest of the flat, with downlighters under the shelves throwing them into bold relief. 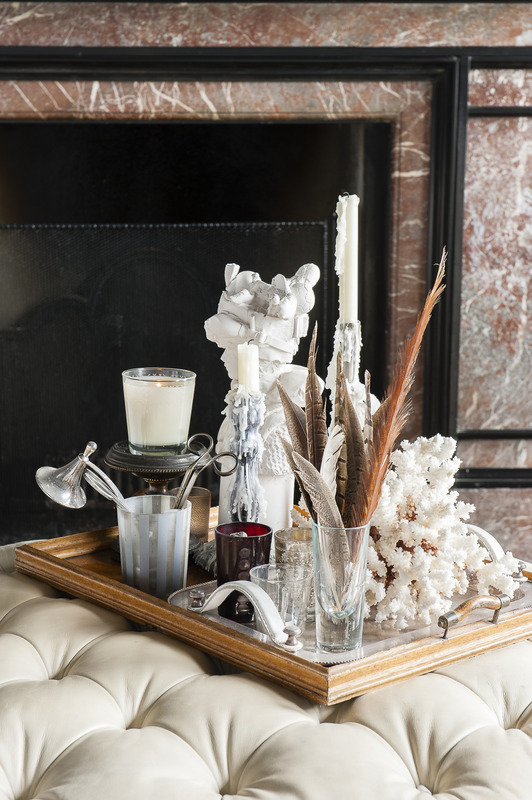 Glamorous, dramatic and wonderfully confident, this apartment is as grand as the splendid house it is a part of. 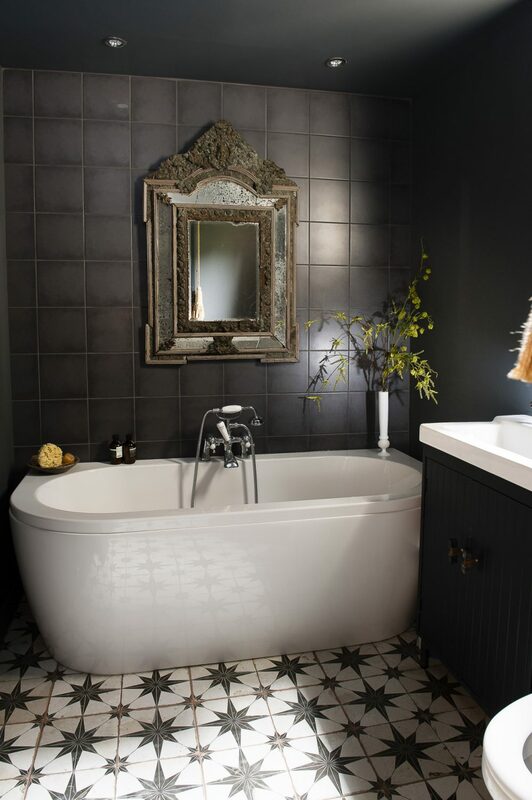 Featuring a deep contemporary oval bath with a central hand shower, star design floor tiles on the characteristic bold scale, plus a basin atop a black painted unit, the bathroom, while relatively small, packs just as much dramatic punch as the rest of the flat.